CotEcast (Care of the Elderly podcast) is for clinicians who look after older patients. Entertaining discussion, debate, analysis and interviews related to Geriatric and General Medicine. Subscribe to our feed in iTunes, or see below for a list of episodes! We hope that the issues discussed on CotEcast will reflect not only the opinions of the presenter(s) and guests, but also a wider audience. Each month, we will invite listeners to submit their thoughts on the topic for the next episode. 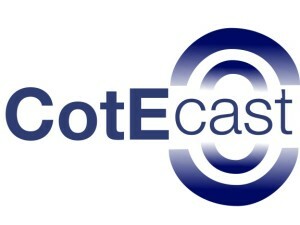 Visit aeme.org.uk/contact-us to get started, or contact us on Twitter using the hashtag #CotEcast! We’d also love to hear your feedback about the podcast, including suggestions for new topics. Happy listening! How to make managing your patient’s pain less painful! The whole AEME team get together to discuss progress with our OPMentor scheme. If you want to find a mentor in your area then check out our website at http://aeme.org.uk/opmentor. If you are interested in becoming a mentor sign up at http://aeme.org.uk/opmentor/application. Vicky, Pete, Nick and Emma talk about the realities of being the med reg on-call. It’s not as bad as you think! We also discuss different reasons for going out of programme during geriatric training. Pete and Nick are joined by AEME founder Mark Garside and consultant geriatrician and TV star Zoe Wyrko. At the end of the conference they reflect on Geriatrics for Juniors 2017 including what they learned from the day. Pete and Nick are joined by Claire McDonald and Sarah Richardson who are both academic geriatricians. Together, they talk about how to get into academic work and research within geriatrics including academic clinical fellow posts. Nick and his colleagues Emily Lyon & Jude Randall discuss how to improve the care of inpatients with dementia, and how to spot and manage delirium. Pete, Mark and Nick discuss the pros and cons of warfarin vs NOACs in AF, strategies for choosing the most appropriate anticoagulants, and how to involve patients in shared decision-making. How do we keep patient with PD safe in hospital? Mark, James and Vicky discuss common issues that clinical staff encounter when managing inpatients with Parkinson’s Disease, and consider practical strategies to improve care. Mark, Pete and Vicky debate whether there is still a cultural problem in NHS hospitals with regards to older patients, and discuss ways that individual clinicians could help to make a difference. Mark, Pete and Vicky revisit some top tips for junior doctors working on Elderly Care Wards, with a particular focus on common issues out-of-hours and on-call. Mark and James are joined by Geriatrics Registrars Andrew Deane and Philip Braude to discuss the emerging field of POPS (Proactive care of Older People undergoing Surgery), and what it means for juniors doctors. Pete, Mark and Vicky discuss the application and interview process for Geriatric Medicine training, and share their insights and tips about how to increase your chances of successfully getting appointed to a post. Mark and James are joined by Zoe Wyrko (Consultant Geriatrician) and Matt Rudd (Specialty Registrar) to discuss the concept of frailty, and the Failsafe tool. Mark and Pete are joined by new Geriatrics registrar Vicky Gibson to discuss early experiences of the ‘med reg’ role, how they prepared for it, and how it compared to their expectations before starting the job. Pete, Mark, James and Kelly discuss some of the fears surrounding the role of the ‘Med Reg’, and whether it should put junior doctors off applying to medical specialties. Geriatrics StRs Mark Garside, James Fisher, Pete Brock and Sean Ninan discuss their top tips for newly qualified junior doctors caring for older patients.